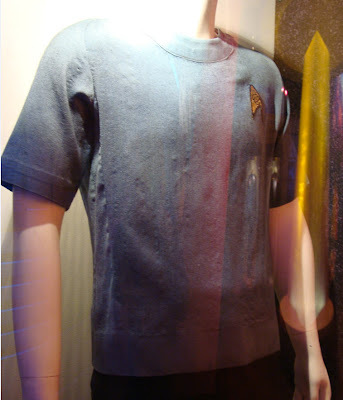 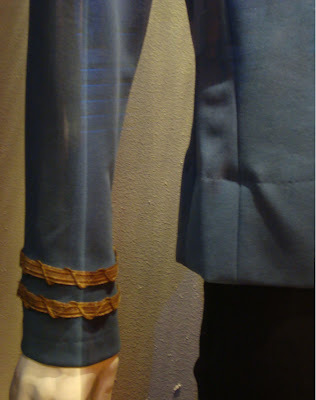 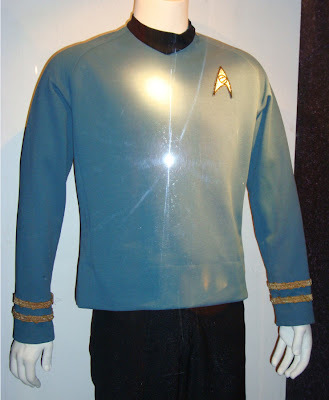 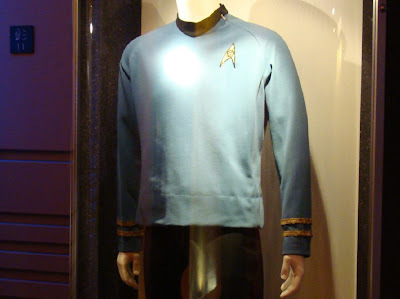 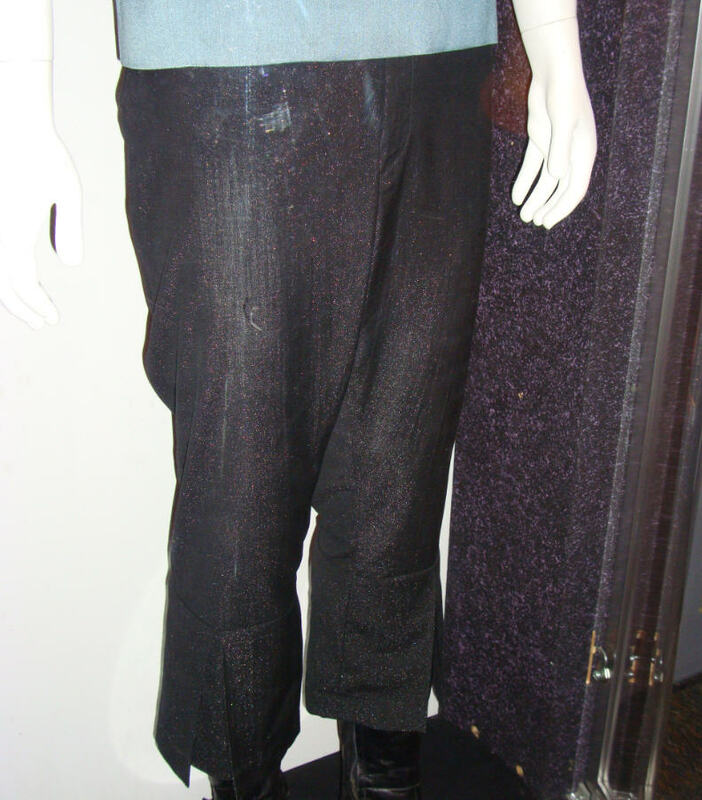 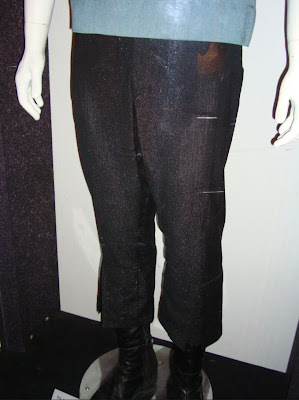 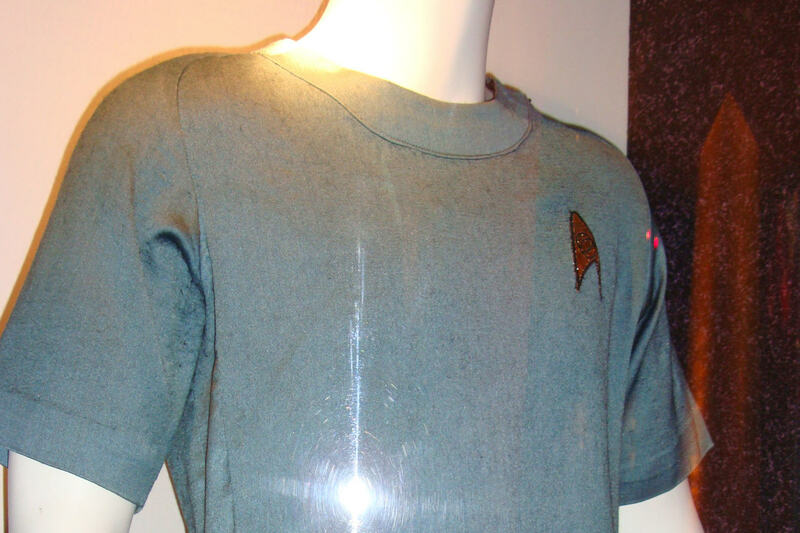 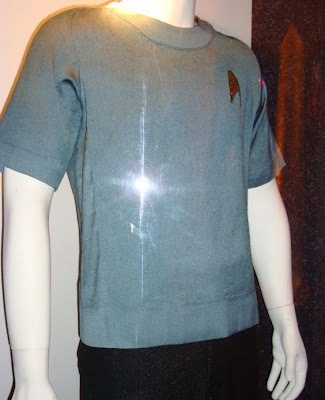 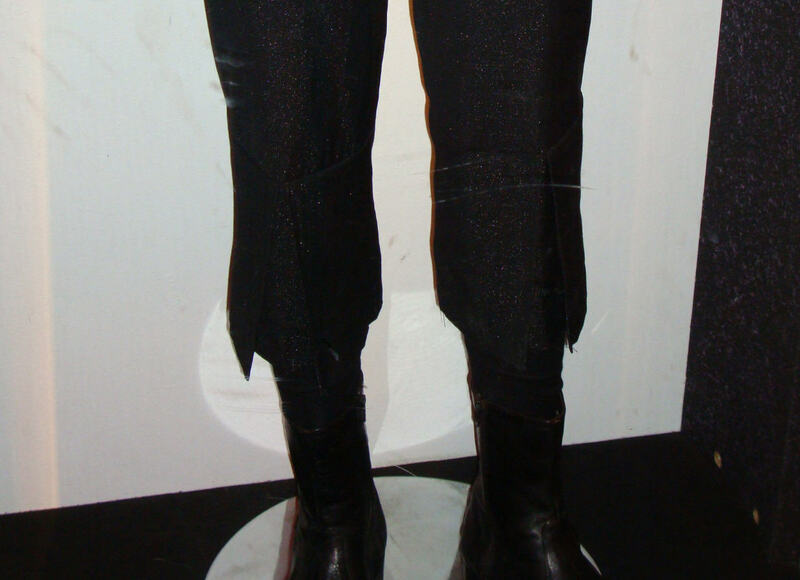 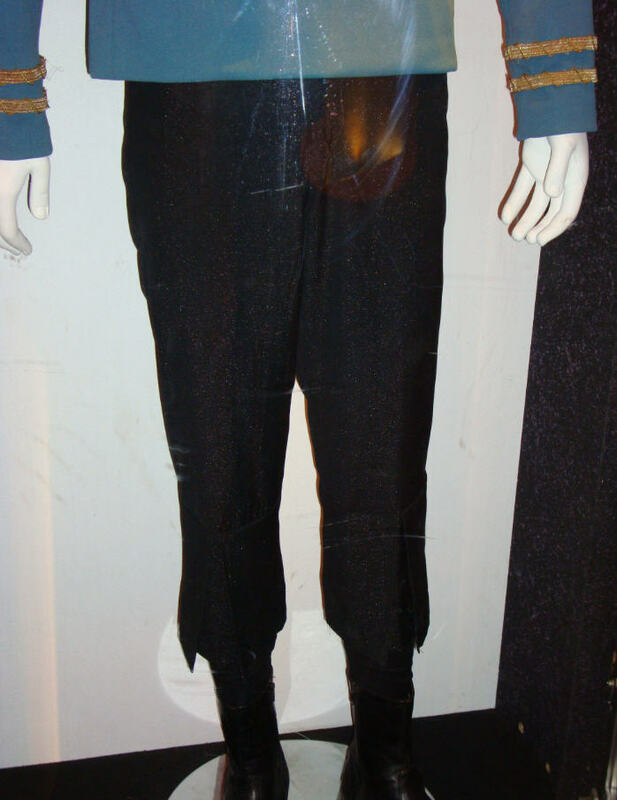 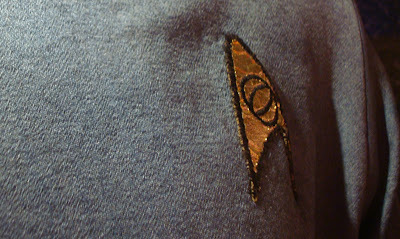 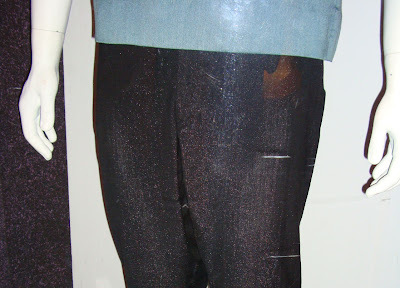 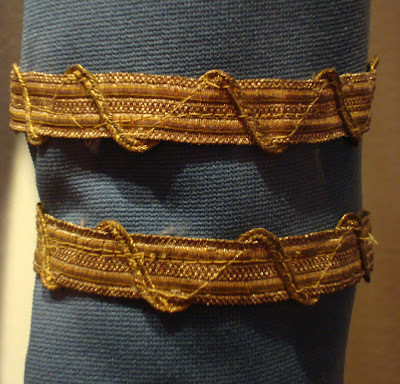 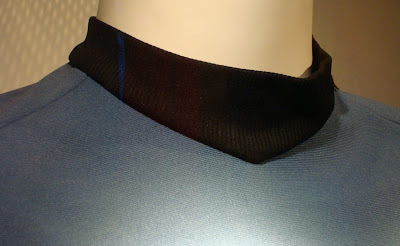 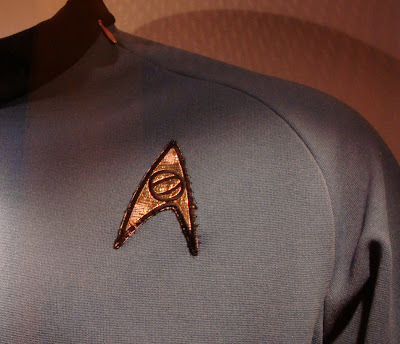 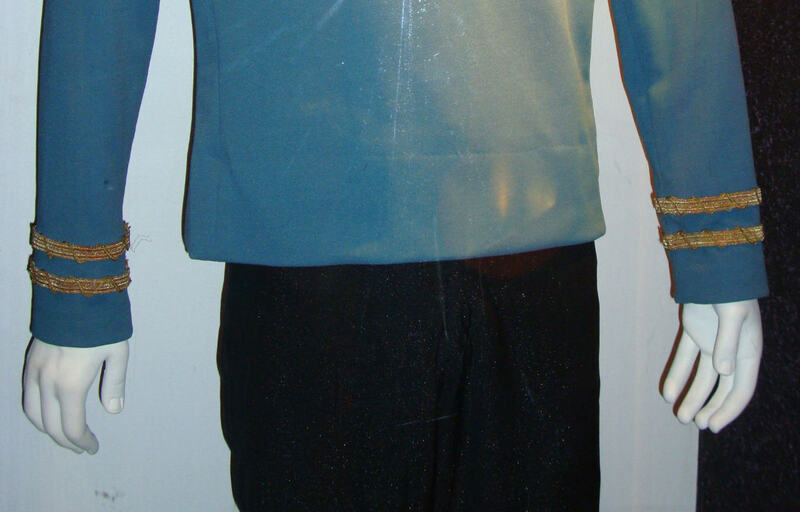 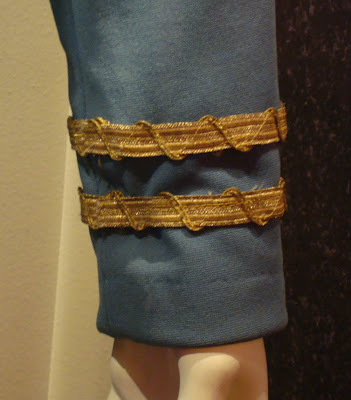 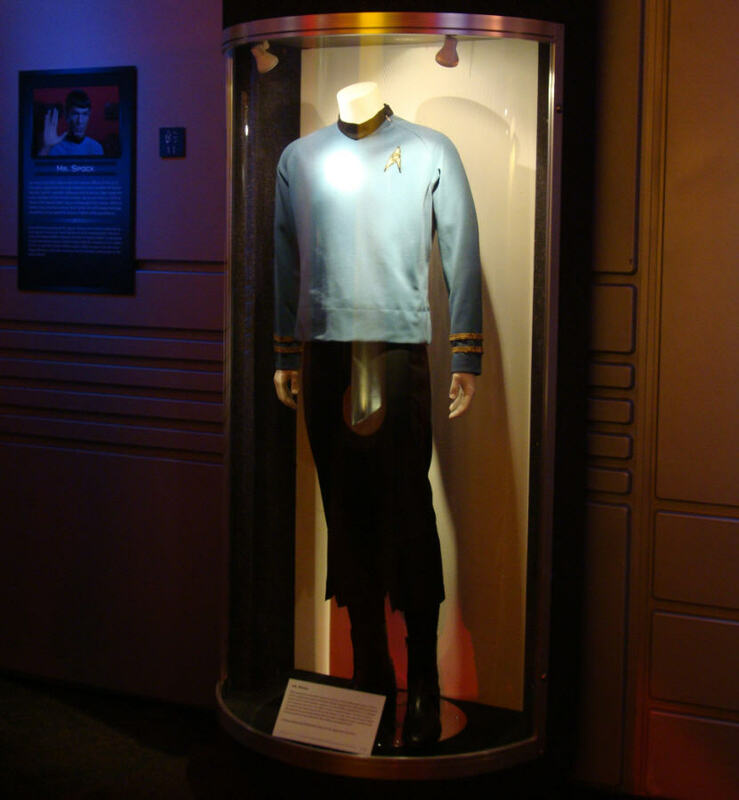 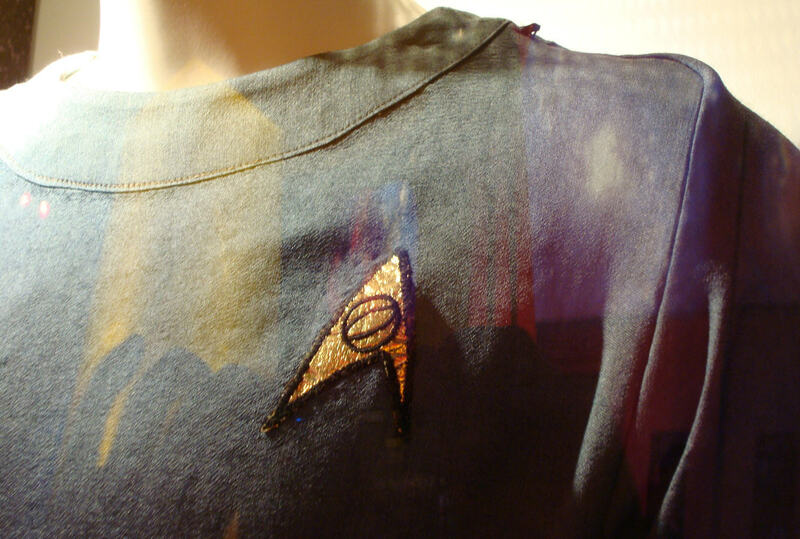 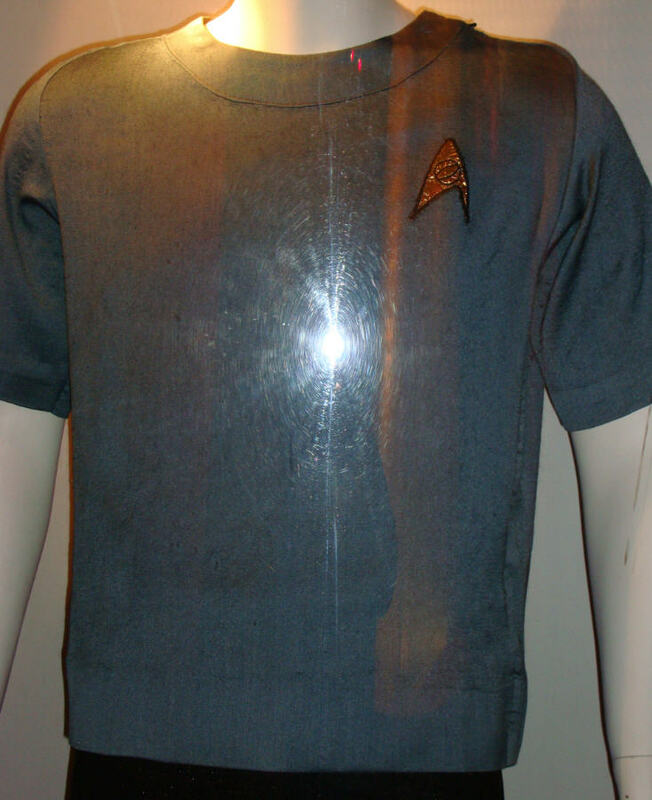 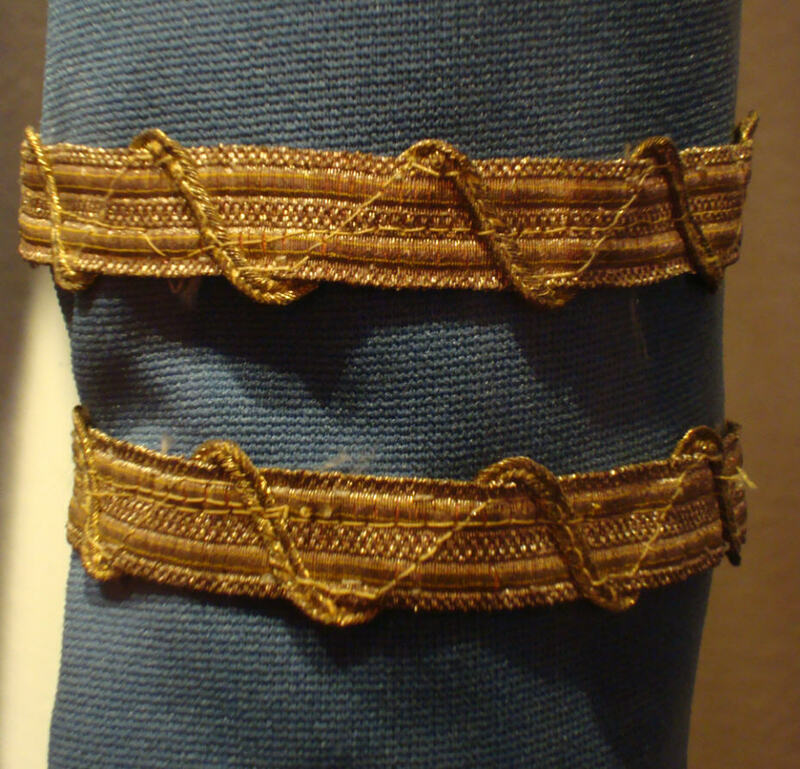 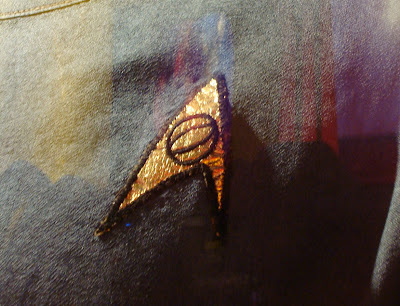 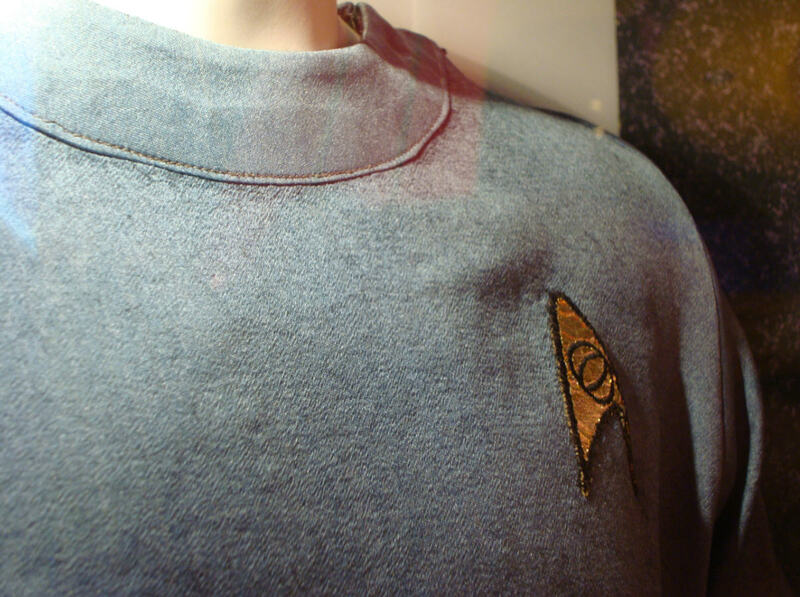 This seventh in a series of posts on Star Trek: The Exhibition; now open at the Detroit Science Center (http://www.detroitsciencecenter.org/) until Sept. 7, 2009; focuses on the Original Series McCoy Uniform. 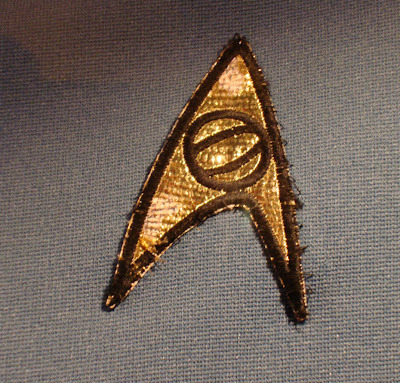 Startrekpropauthority.blogspot.com was allowed to photograph the exhibition on Feb. 14th, 2009 and Feb. 21st, 2009 and is presenting posts on some of the exciting TOS-related components of this comprehensive collection - which features screen used costumes, props, starship filming models and set recreations that span all 5 Star Trek television series and 10 feature films. Many thanks to the staff of the Detroit Science Center for their kind assistance; with special recognition to Kelly Fulford, Kerri Budde, Amanda Jackson, and Todd Slisher for their outstanding support. 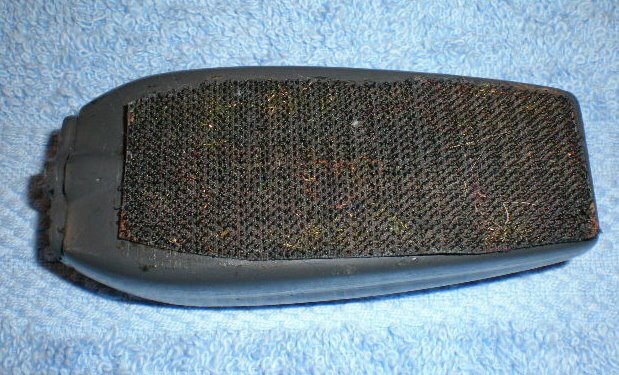 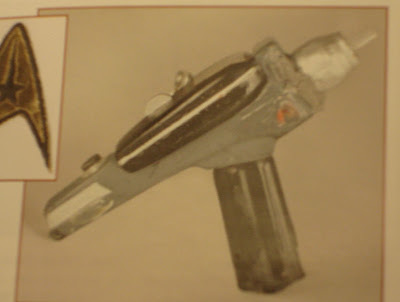 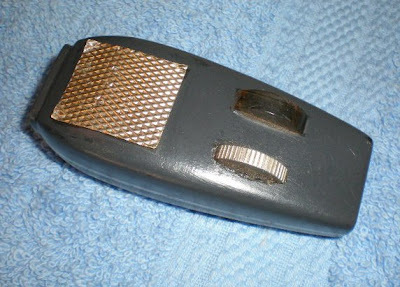 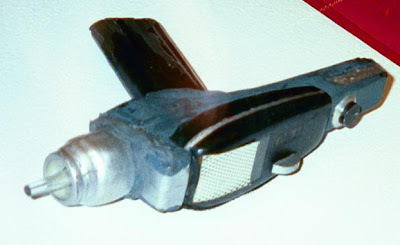 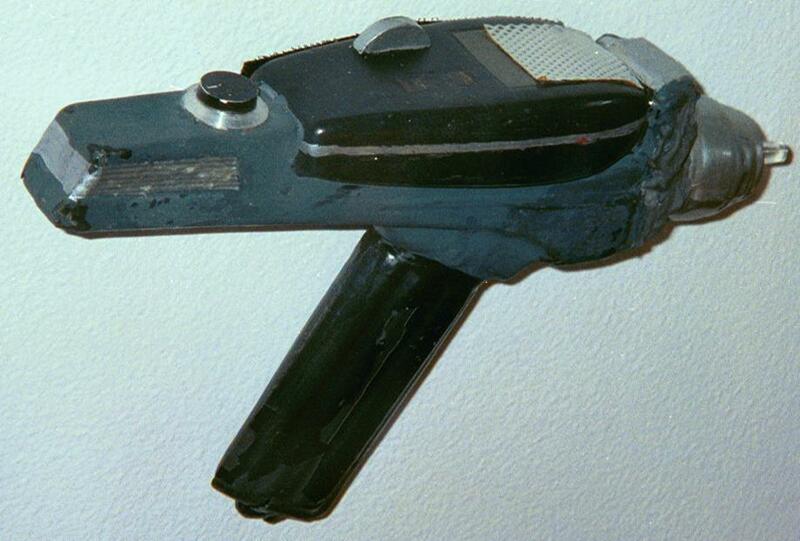 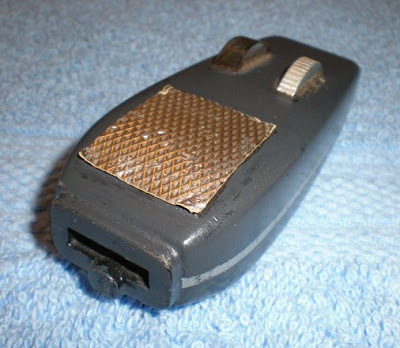 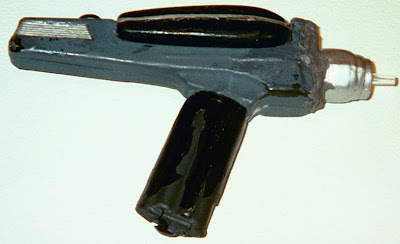 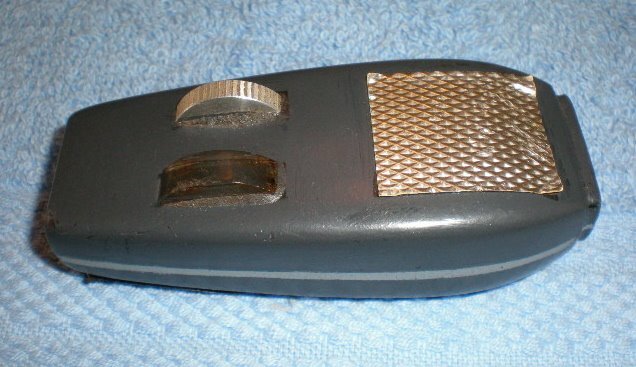 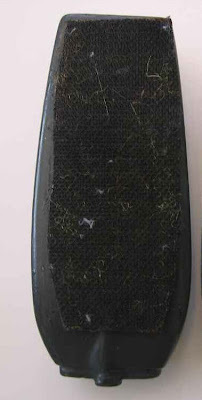 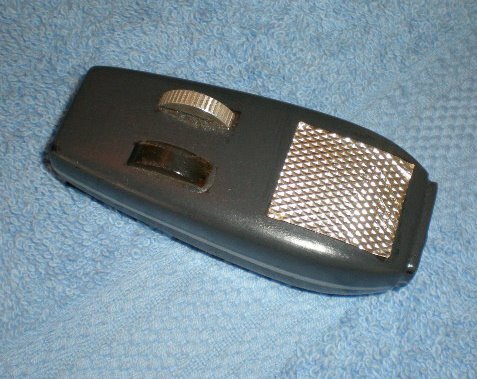 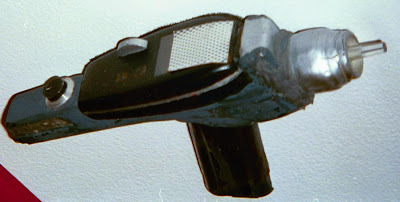 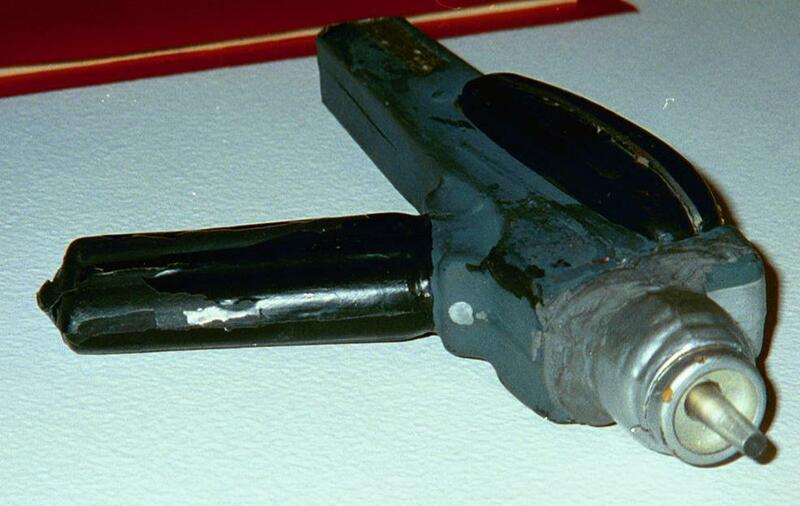 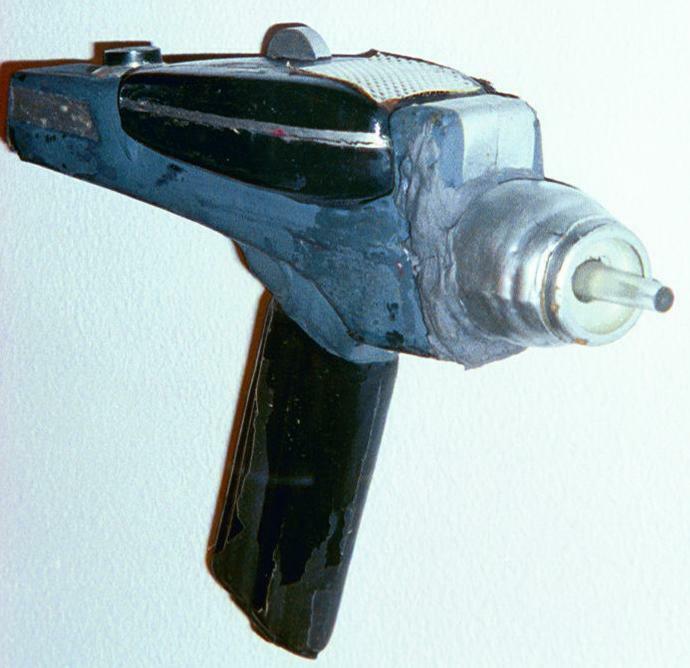 Presented below are some photos of an authentic TOS stunt Type II or pistol phaser. 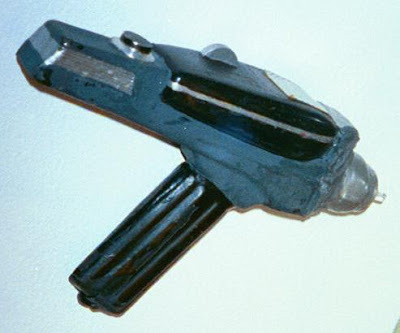 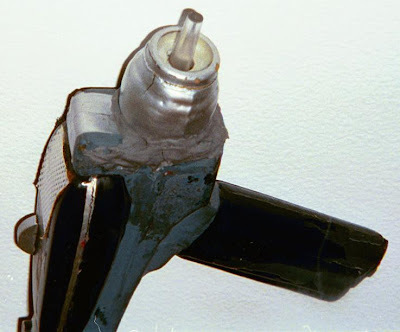 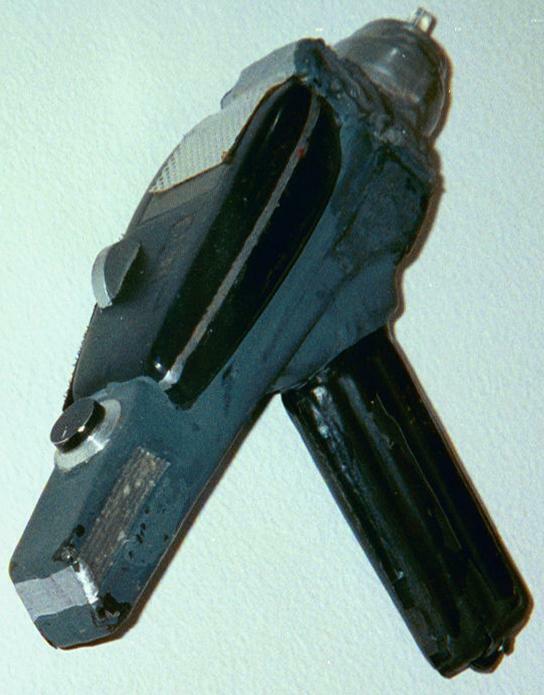 These props, sometimes referred to as the "$1.98 Specials", were amongst the least rigorously constructed group of hand props for Star Trek and exhibited significantly less attention to detail than their midgrade or hero counterparts. 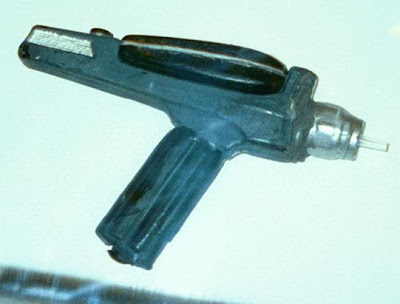 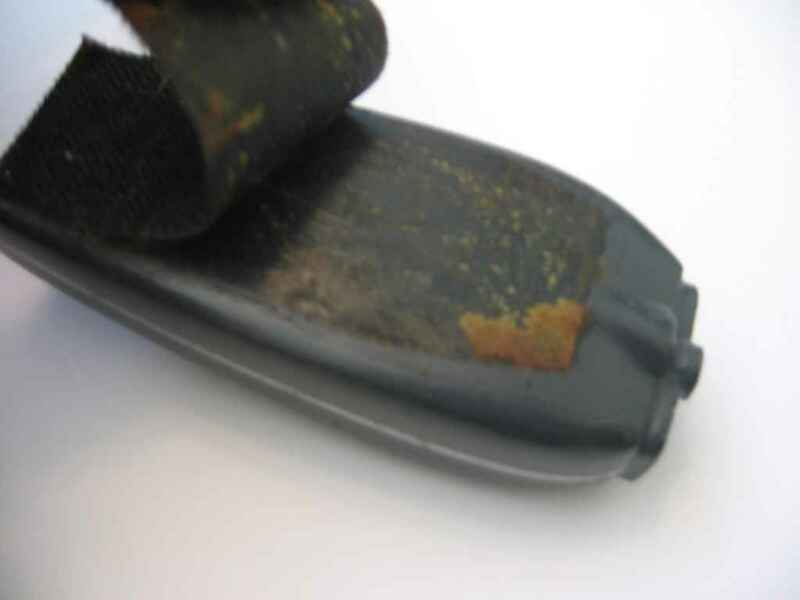 They were constructed of thin, vacuuformed plastic that was quite delicate and could be deformed if moderate pressure was applied when holding the prop. 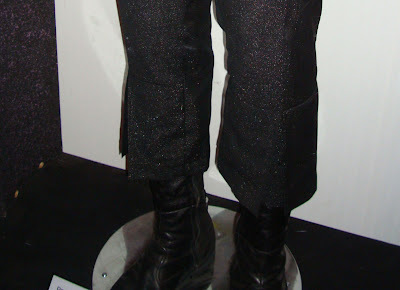 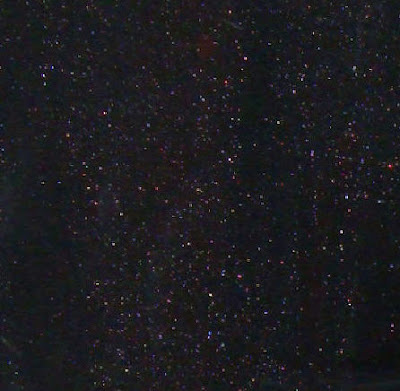 While the hero props were specifically fabricated to withstand the scrutiny of close-up photography; these pieces were developed for background or stunt use only - particularly in action scenes where there was a risk of prop damage - and were never meant to appear in full view on camera; although, occasionally, some stunt pieces with their telltale smooth, rounded silver nozzles are distinguishable in episode screenshots. HERB: Necessity made Matt Jefferies the absolute mother of Star Trek invention. As Engineering Officer Scott gained importance, there came the need for a compact set where Scotty could feverishly work to effect emergency repairs on the ship’s internal circuitry, when the preservation of the galaxy and the future of the Enterprise was in doubt. 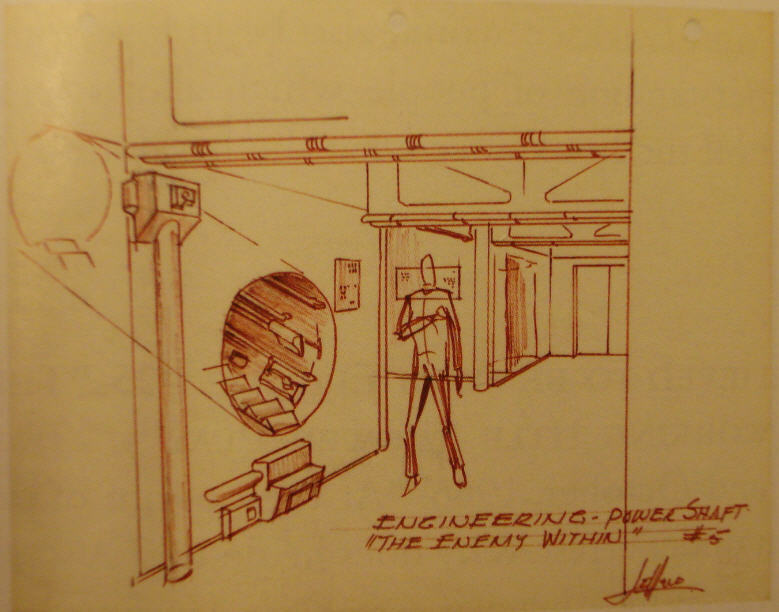 With short notice and little money, Matt designed a tall cylinder that later became known as the “Jefferies Tube”. 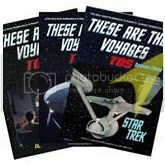 The camera could shoot straight down at Engineer Scott as he clung to the inside of the cramped set with lights flickering all around him. 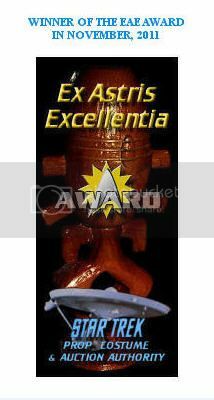 An assortment of bells, whistles, gongs and beeps was laid in afterward by the sound editors. 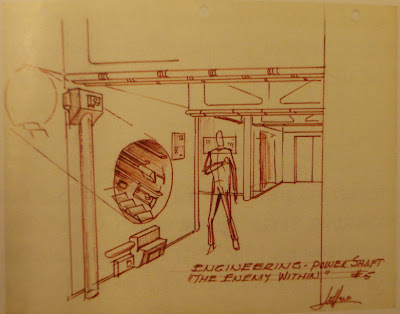 “Bridge to Engineering. 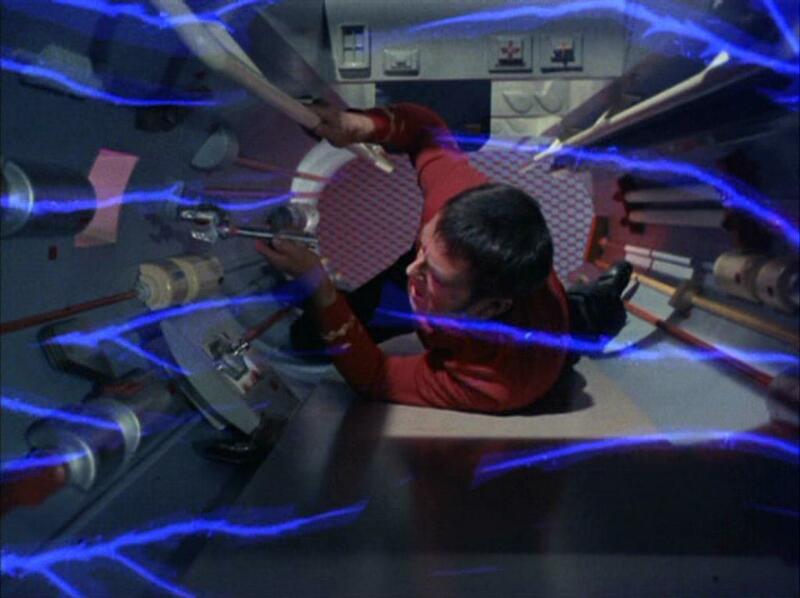 How’s it going, Scotty?” Kirk looked and sounded anxious. “Engineer-r Scott her-r-re. I’m inter-r-lacing the star-r-boar-r-d power-r-r module with the por-r-t photon tor-r-pedo tubes, Captain,” said Doohan from his perch high inside the Jefferies Tube. 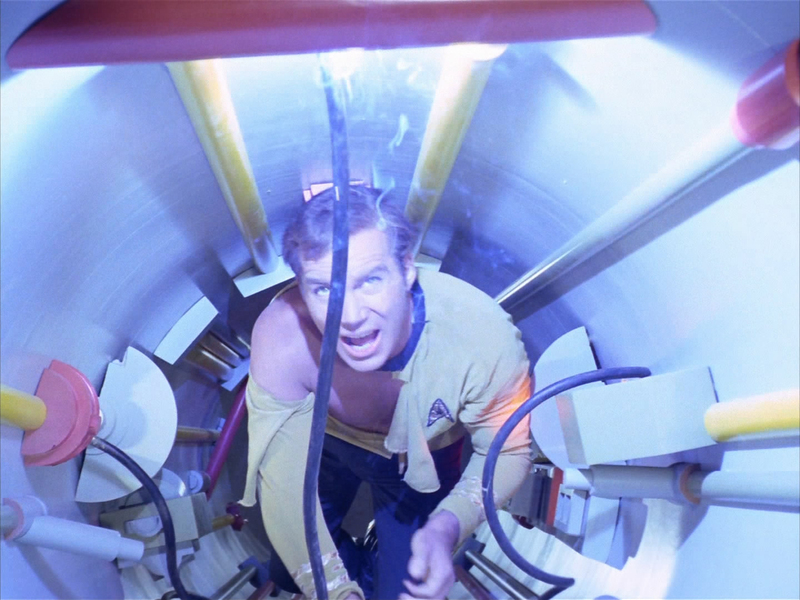 “We don’t … ahhh … have much time left, Scotty … ahhh … How much longer will it take?” asked Kirk. Shatner always seemed to hesitate dramatically when events overtook the captain. 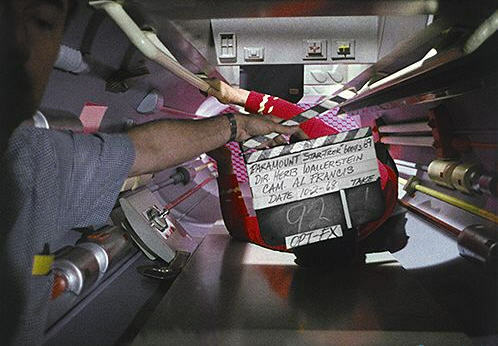 Actually, I always thought the dramatic pauses were a device he used while he tried to remember his lines. “Thr-r-ee or-r four-r-r mor-r-e minutes, Captain, and I’ll have war-r-p power-r-r restor-r-red,” answered the intrepid ship’s engineer as he probed the complicated circuitry with an instrument that resembled a futuristic combination of a soldering iron and a cuticle trimmer. 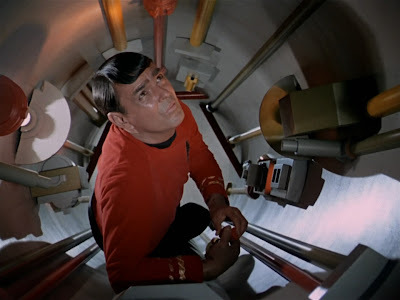 “Aye, sir-r-r. Her-re goes …” And after racing the clock, Scotty would bring power back at the very last moment and thereby save the good ship Enterprise. Whenever shooting scripts called for the Jefferies Tube, Matt added more dojiggers and thingamajigs to it. 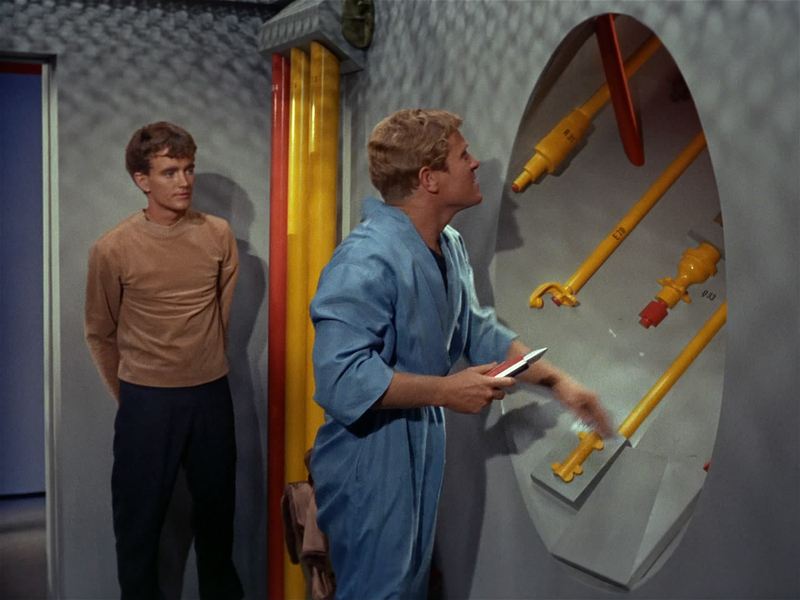 Since there was no space available on Stage 8 to keep the contraption set up all the time, Jefferies put his tube on wheels so it could be easily moved in whenever it became necessary for Scotty to restore “war-rp” power and save the galaxy. Again.